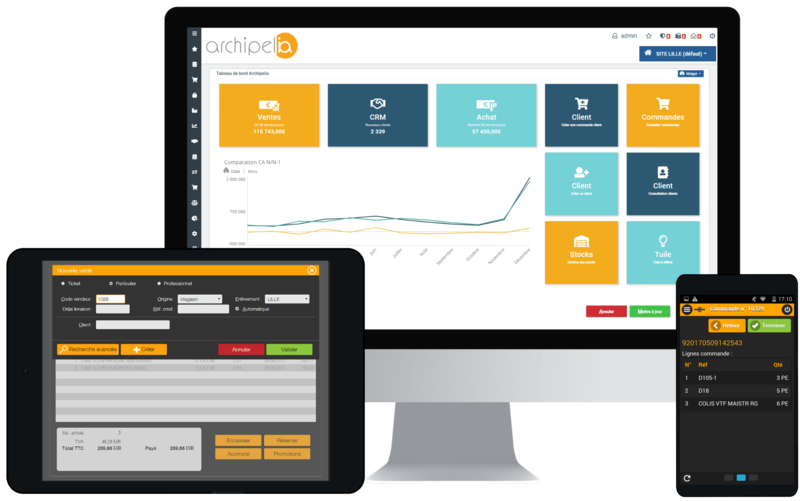 Created in 2004, Archipelia publishes, integrates and hosts its eponymous ERP software designed for wholesale trade, manufacturing and omnichannel trade SMEs. Innovative and agile solution, Archipelia supports the digital transformation of businesses, empowering their growth. Global or modular, Archipelia provides a full web functional base that meets the needs of Business Management, Logistics, Manufacturing, PIM, Omnichannel Trade, CRM & Marketing, Accounting and Reporting / Business Intelligence. Contact our team to discover new growth opportunities !